The Berkeley Connect program opens up the extraordinary resources of the university to you: the extraordinary students on our campus. By joining, you will become part of a community of like-minded faculty, mentors, and students that will provide a supportive environment in which to exchange and discuss ideas and goals. Berkeley Connect will help you to make the most of your time at the university as you learn more about the major in Physics. We’re excited to get to know you! Berkeley Connect is a 1-credit seminar course that meets once a week for one hour. It is designed to be very low workload but have large benefits for undergraduates. Berkeley Connect links undergraduate students with experienced mentors in Physics. These mentors lead small groups of 10-20 students in regular meetings; they also meet with students one-on-one to provide guidance and advice. The core of the Berkeley Connect program is a one-credit, pass-fail course that is designed to create a community of students with similar intellectual interests. There is no homework associated with Berkeley Connect: no exams, no papers, no quizzes. Instead, small group meetings focus on sharing ideas and learning new skills within the Physics major as a way to foster friendships and provide a supportive intellectual community for Berkeley undergraduates.The only requirement for joining Berkeley Connect in Physics is that you have an interest in the field of study. You do not have to be a major in order to participate! Undeclared freshmen and sophomores are welcome, along with entering junior transfers and juniors and seniors who have declared the major. At the heart of Berkeley Connect is the relationship between you and your mentor. The Berkeley Connect mentors are advanced graduate students or recent PhDs in Physics, who are chosen both for their demonstrated commitment to undergraduates and for their scholarly achievement. They are dedicated to providing the kind of close-knit community and one-on-one attention that can be hard to find at a large university. When you sign up for Berkeley Connect, you will join one of several small groups of participants in Physics. Your small group will be led by your mentor, and will meet every other week during the semester for an hour-long dinner discussion sessions. Discussions will focus on key intellectual issues within Physics as well as key skills you need to succeed in the major. Above all, the small groups will focus on building connections among students, so that each group becomes a supportive community for all participants. Jonny Cookmeyer is a second-year Physics graduate student, born and raised in North Carolina and a graduate from Haverford College (a small liberal arts school in the suburbs of Philadelphia). 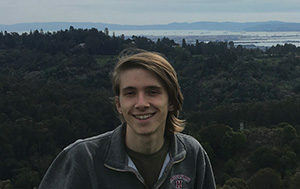 In addition to being interested in many aspects of theoretical condensed matter physics, Jonny enjoys playing Ultimate, hiking, speedcubing, and playing piano. They are excited to participate in the Berkeley Connect program to get to know, mentor, and assist a group of undergrads while helping them navigate the scientific community here at Berkeley and beyond. Crystal Noel is a sixth-year graduate student in Physics with a concentration in Applied Science and Technology. Her research is in trapped ions for quantum computing applications. She has been involved on campus as a physics instructor, the Wellness Fund committee chair, and a Graduate Assembly delegate. Crystal helps manage her lab’s Twitter account and likes to plan fun outings like picnics and trips to the beach. 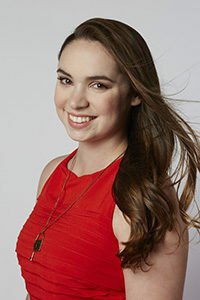 She is excited to help undergraduates connect with the physics community. 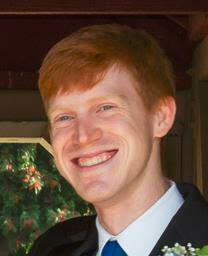 Paul Riggins is a sixth-year graduate student in Physics, working with Surjeet Rajendran on high energy phenomenology. Besides playing with physics, Paul enjoys mentoring, singing, and thinking about games. He is excited to support the Berkeley undergraduate community and have awesome conversations about life and science. Miguel Zumalacarregui is a postdoctoral fellow at the Berkeley Center for Cosmological Physics. His research aims at understanding the mysterious components making up 95% of the universe (dark energy and dark matter) using techniques like gravitational waves, supernovae, the large-scale distribution of galaxies, and other astronomical observations. He’s also very interested in science outreach, and loves to cook, read and hike in his free time. He is excited to be part of Berkeley Connect and discuss about how to get the most out of education, science and life. Sessions start on the hour, not on “Berkeley time”. This is so that everyone can get food and discussion can begin by 10 after the hour. 4 Feb 18-22 How to get into research and become a physicist One-on-one meetings this week! 25-Mar 1 Wednesday section only this week Lab tours start One-on-one meetings this week! 7 Mar 11-15 Mar 13 Oppenheimer Lecture + Lunch? 12 Apr 15-19 Science and Society One-on-one meetings this week! To find sections in the upcoming semester, search the Schedule of Classes for Physics 98BC (for first-year and sophomores) or 198BC (for juniors and seniors).To help you meet other students who share your experiences and perspectives, Berkeley Connect sections are designated as lower division (first-year students and sophomores), new junior transfers, and upper division (juniors and seniors), but you can enroll in any section that fits your schedule and credit requirements.